Are you looking to lock down your performing career and turn your music into gold? 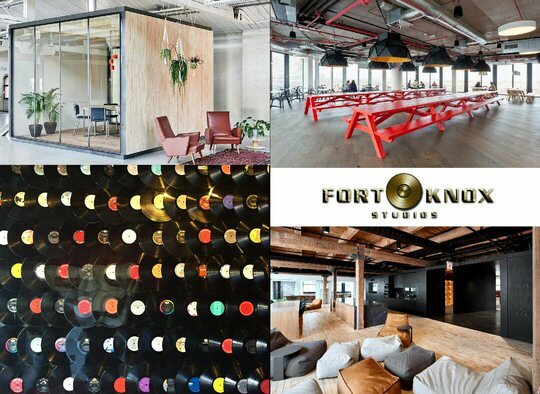 Well, in Music City the place to make that happen is only months away from arriving as Fort Knox Studios Nashville is ready to open its doors on its 188,000 square feet of rehearsal pods, conference rooms, songwriting spaces, commercial offices, vendors and much more all conveniently located at 640 Massman Drive in Nashville, Tennessee. 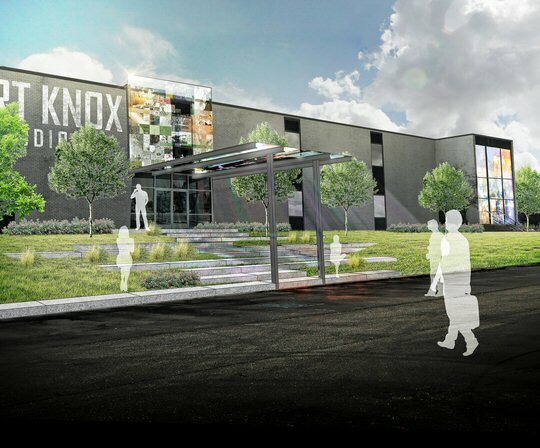 Coming soon to Music City – Fort Knox Nashville. The brainchild and driving force behind this massive musical undertaking is Kent Nielsen and he gave us a private group tour in early April as construction was taking place to transform a former warehouse into the new all-inclusive experience set to rival and surpass Music Row in importance to the region. The plan is to provide performers and songwriters one dynamic place to meet all their needs that will help advance careers in Nashville and beyond. Need vinyl pressed? Check. T-shirts designed? Check. A space to rehearse your large scale arena tour? That’s here, too. Want label and A&R reps to fight over you? They’ll be onsite looking for the next big thing. The idea is to offer musicians and songwriters everything they could possibly imagine on the business and marketing side to incubate, birth and launch talent from the heart of Music City. Artistic renditions of Fort Knox Studios Nashville – coming Summer 2017. Lest you think this sounds like the dream of a “maniac” – well, maybe you’re right. But, there is precedent for its success. Nielsen and his business partners have already launched a similar endeavor in his home state of Illinois. 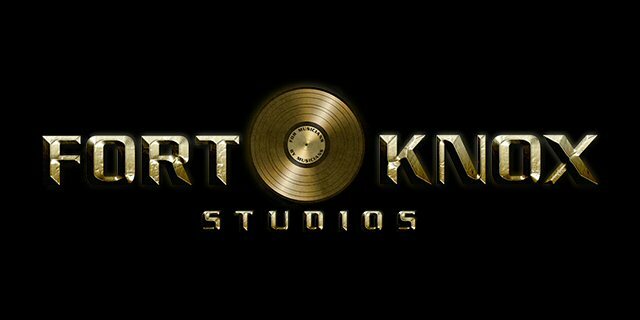 Fort Knox Studios is Chicago’s premier rehearsal, production and recording facility. Built in 2009, their 160,000 square foot facility is home to over 300+ bands, artists and entrepreneurs. Through community, networking and creative passion, Fort Knox Studios has provided their clients with the spaces, amenities, and services they need to achieve all of their artistic goals. During our visit Kent’s enthusiasm was palpable and he was chomping at the bit to put the finishing touches on construction to meet their ambitious deadline of opening sometime in the Summer of 2017. But, he’s already thinking beyond Nashville. With two marquee complexes now nearly complete Nielsen told us he envisions a quick expansion bringing the Fort Knox concept to other musical meccas around the world including London, Seattle and maybe even Tokyo. To us – this sounds like a golden idea whose time has come! More artistic renditions of Fort Knox Studios Nashville – coming Summer 2017.